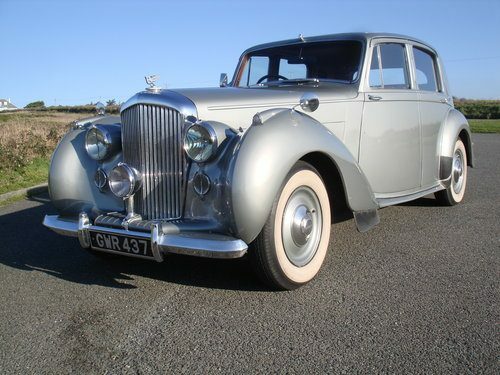 For Sale – 1947 Bentley Mk.VI Sports Saloon | Classic Cars HQ. 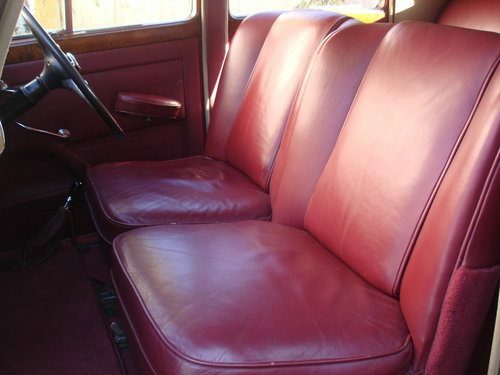 In an attractive colour combination of georgian silver with soft burgundy leather interior and walnut veneers with dark red carpets and set off with whitewall tyres. B168BH was supplied by Glovers of Harrogate in 1947 and still retains its original Yorkshire registration number. 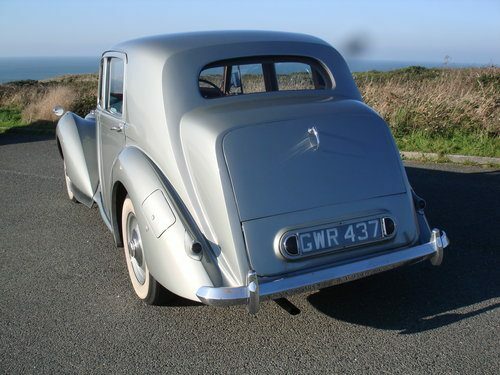 A very good example of an early four and a quarter litre car which is eye catching and a delight to drive, with smooth gearbox and excellent brakes. 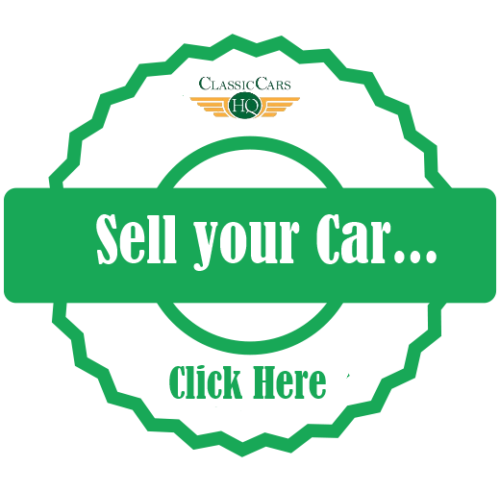 The car is reliable and performs well in modern traffic. Handbook, build sheets, etc.